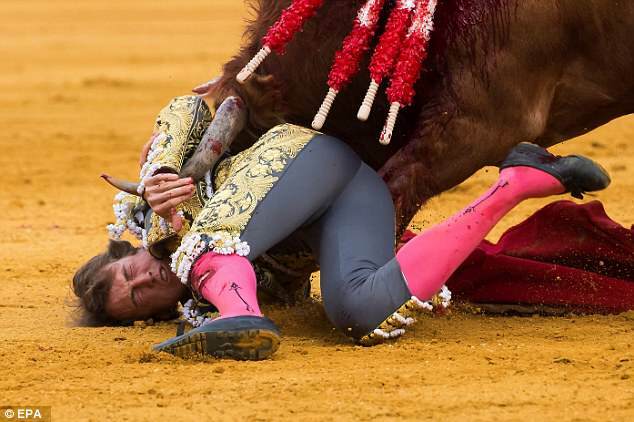 This is the shocking moment when a Spanish matador is badly gored by a bull, tearing open a major blood vessel, on his first time back in the ring after recovering from another bullfighting injury. 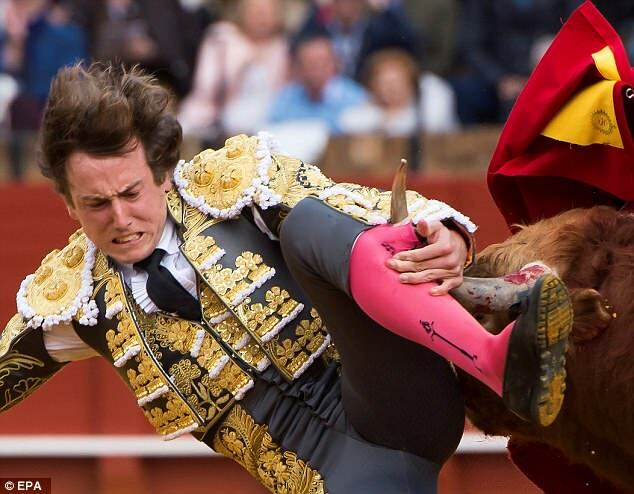 Matador Roman Collado suffered horrific injuries when a large bull ripped open his left leg with its horns during the display in Seville, southern Spain. It was meant to have been Collado’s triumphant return to the ring, following weeks of recovery from another goring injury, where his arm and chest were pierced during a bout in Valencia. His most recent injuries were so bad he needed immediate emergency surgery in the bull ring’s medical room before he was rushed to a hospital. 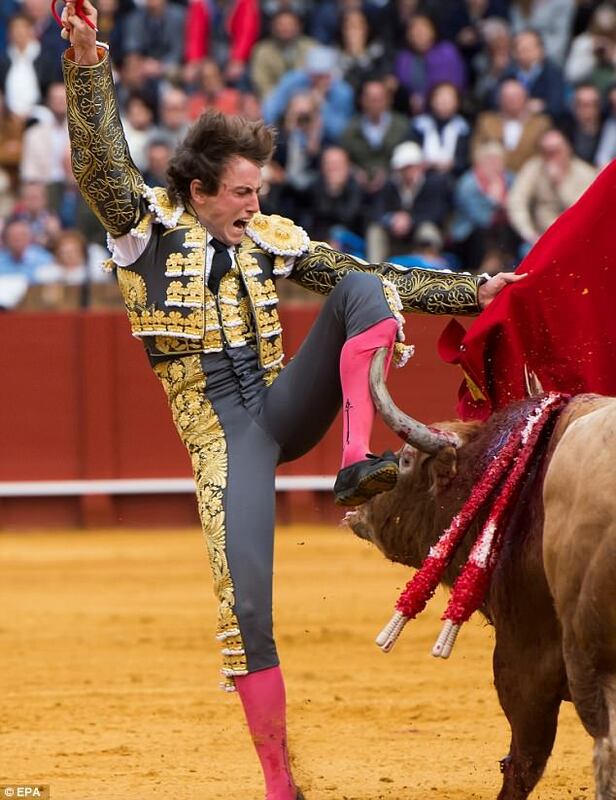 The matador later told his fans on Twitter that he’d suffered a gruesome six-inch tear through a major blood vessel in his leg. 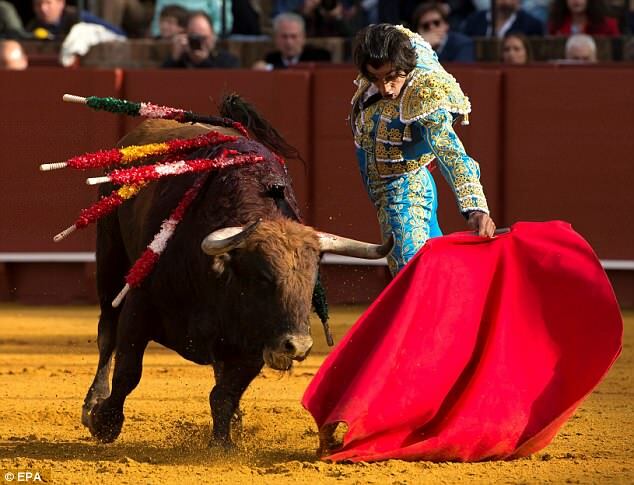 Medics reportedly said that although the surgery was quick, the matador will face further tests to asses if he needs more operations. 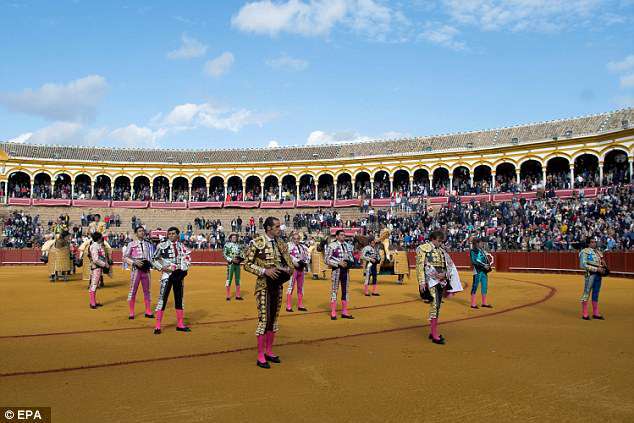 Bullfighting has a gruesome history of human casualties. It is believed that more than 530 professional matadors have died as a result of injuries received in the ring in the past 300 years. Injuries are so frequent that Spain has surgeons who specialise only in horn piercing wounds. 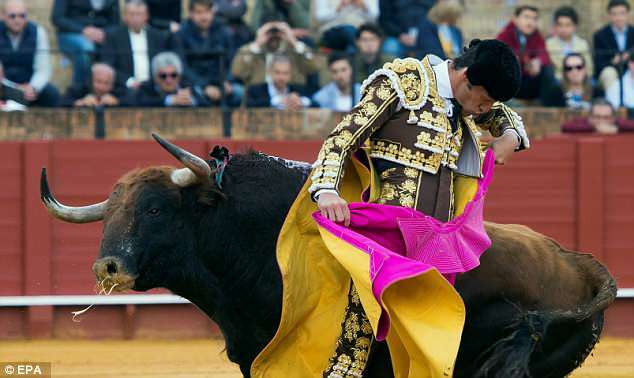 One of the most famous matadors of all time – Juan Belmonte – is said to have suffered more than 24 major injuries as well as dozens of minor ones.